First up is my favorite type of top coats-flakies! 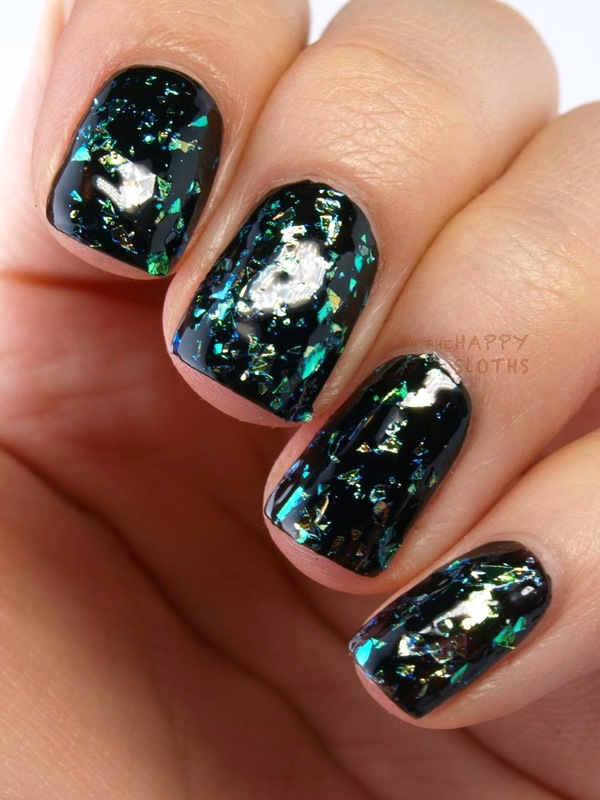 This is a glass-shard effect iridescent flakie. The shards have a green/blue shift when topped over a dark base and when paired with a lighter color it looks blue/pink. 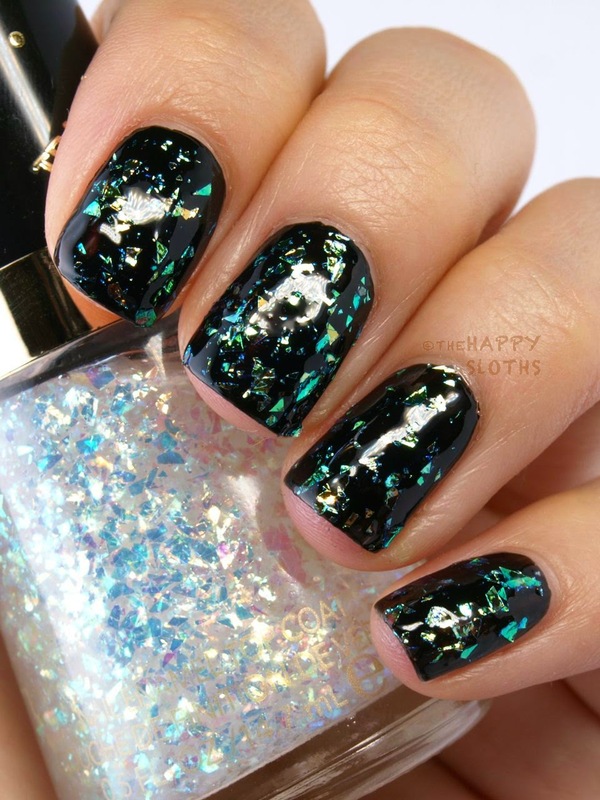 The clear base is fairly packed so each stroke provides ample amount of flakies. The finish is a tiny bit textured because so it's best to pair it with an extra layer of clear top coat. 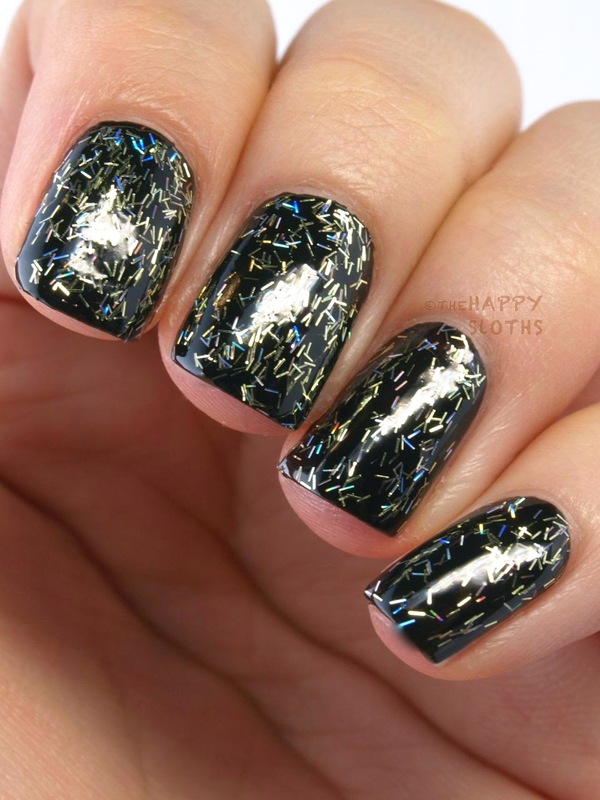 One coat of Cosmic Flakies over black creme base; one coat of Seche Vite. 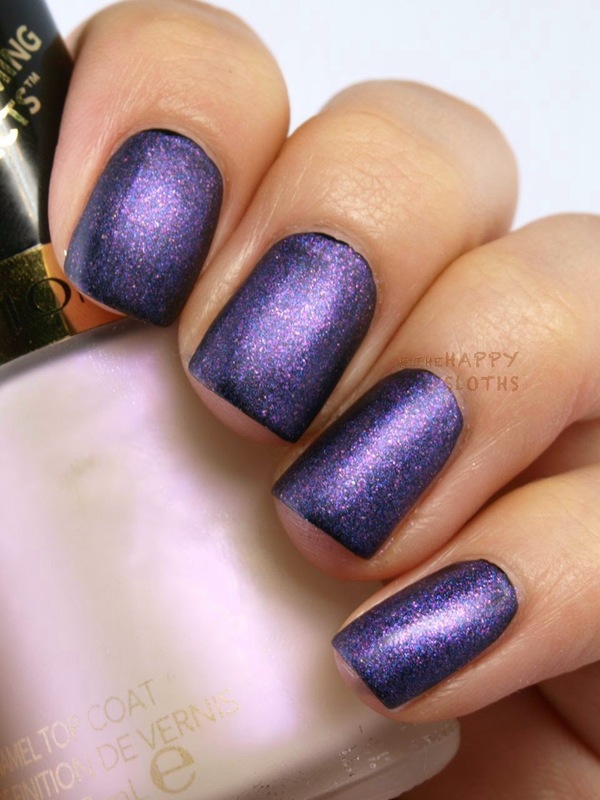 An unique matte shimmer, this one is jampacked with blue, purple, and silver shimmer particles. The colors are super dreamy and of the matte texture is always refreshing. One coat over black base; no top coat. Bar glitters! Yup, Golden Confetti features a clear base brimming with gold and holographic bar glitters. There are tons of glitter in the formulation so there is absolutely no need for glitter-fishing. The polish is very festive, perfect for Christmas and New Years. 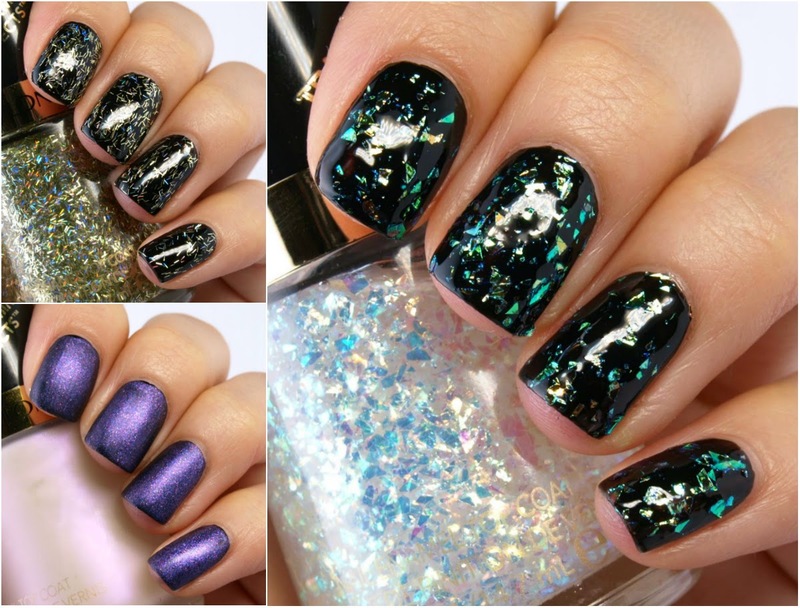 I love fun top coats, whether it be mattes, flakies, or glitters. So naturally, I am a huge fan of this new Transforming Effects Top Coat from Revlon. All three of these have a wonderful formulation so they are definitely worth checking out! The Transforming Effects Top Coats are available now at drugstores nationwide.